This is a rectangular High Voltage porcelain sign. This particular High Voltage sign is predominantly white with black text. 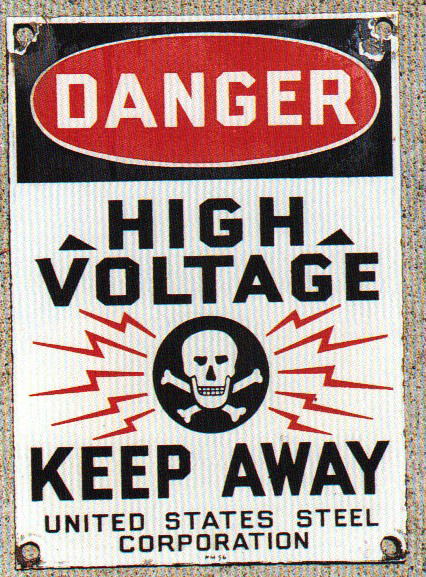 It reads, “Danger, High Voltage, Keep Away, United States Steel Corporation” and features a skull and crossbones surrounded by red lightning bolts in the center.